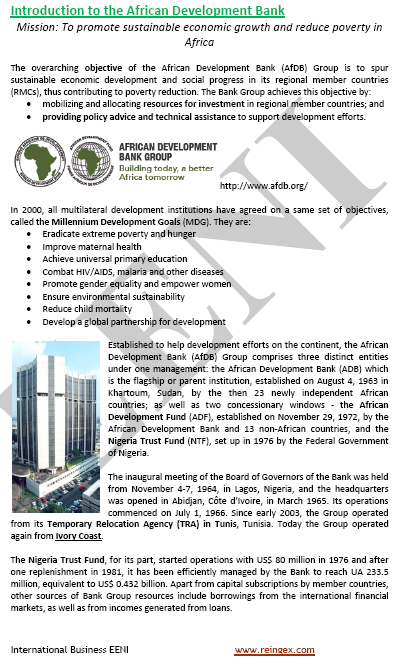 Finally, we will study the “Agenda 2063: The future we want for Africa” a key document to understanding African leaders vision. 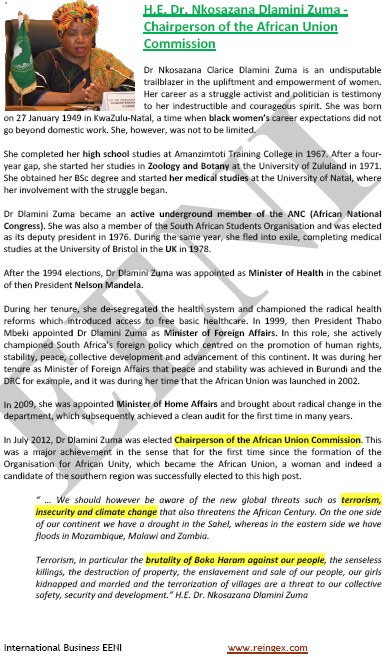 Course intended for all those wishing to understand the African Socio-economic Transformation. Course Learning materials in (or Institutions africaines Africa Instituições Transformaçao Africa Instituciones Transformación). The student has free access to course materials in these languages. 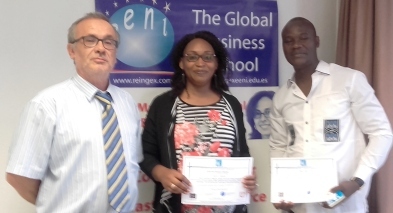 The Online Course “Institutions are Leading African Transformation” contains exercises that are evaluated, which the student must work out and pass to obtain the diploma “African institutions are Leading African Transformation” issued by EENI Business School & HA Independent University. Description of the Course: African Institutions are Leading African Transformation. 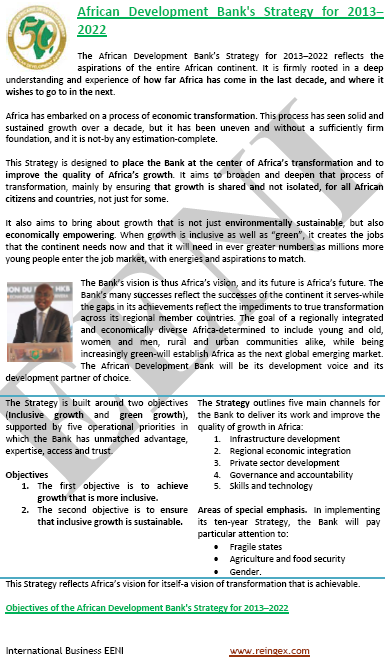 Africa: a continent in a deep transformation. 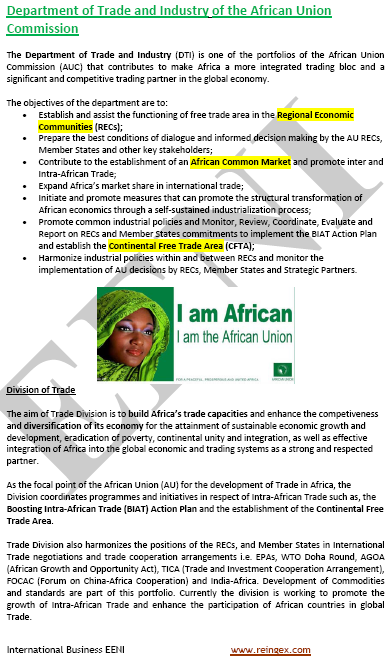 Since the creation of the Organisation of African Unity (OAU), now called African Union, African political leaders are moving irreversibly towards full economic integration, with the aim of creating an African Continental Free-Trade Area (1 billion people, GDP combined: 1.2 trillion) consisting of fifty-four African Countries. 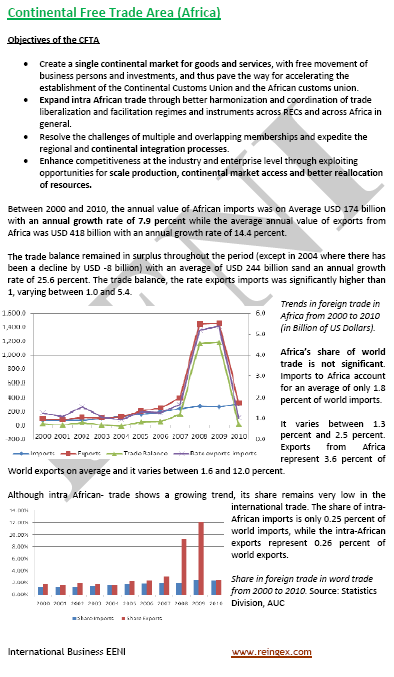 While this goal is very complex (e.g., intra-African trade represents only 10% of total African trade) and will require substantial investments (especially in infrastructure); they are taking decisive steps to achieve it. 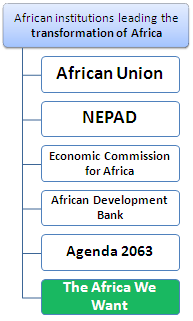 To achieve this vision of a “United Africa”, four African institutions are playing a fundamental role. 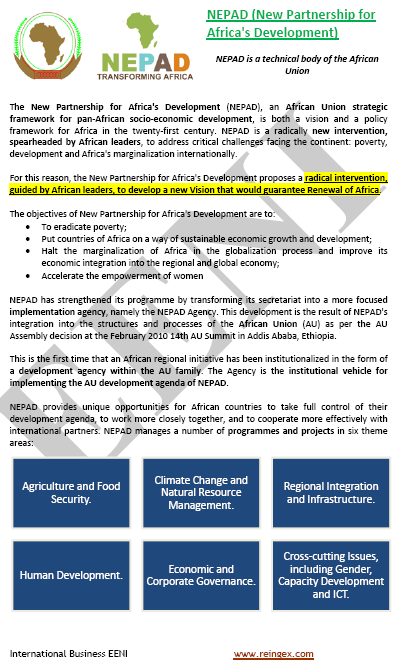 The “African Union” establishes the political vision. 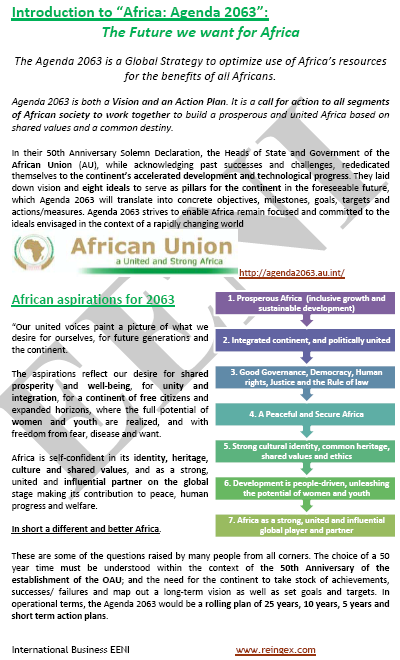 The African Union has agreed the “Agenda 2063: The future we want for Africa” an essential document to understand the vision of African leaders. 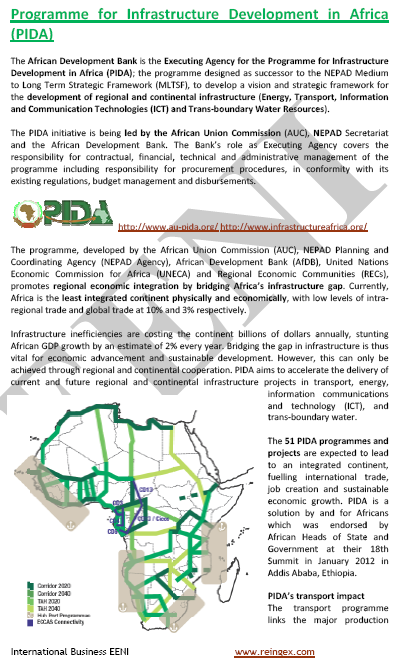 Knowing these institutions (*), operation, programs and information they provide is vital to comprehend the profound transformation taking place in Africa. 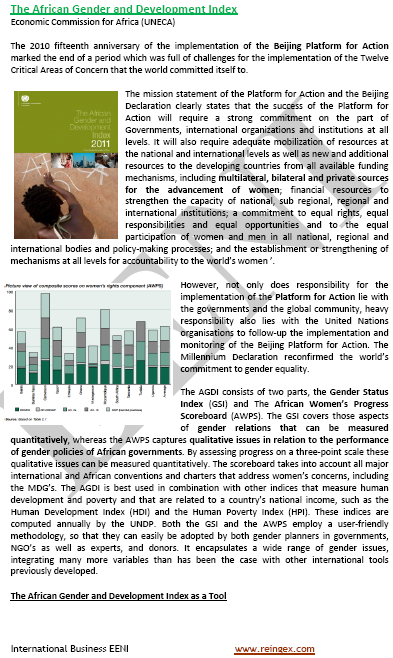 (*) The Regional Economic Communities also play a fundamental role (analysed in another course).